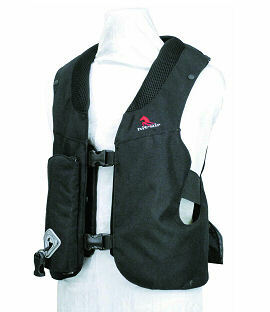 The childrens Hit-Air vest has all the design and protective features of the adult vest. 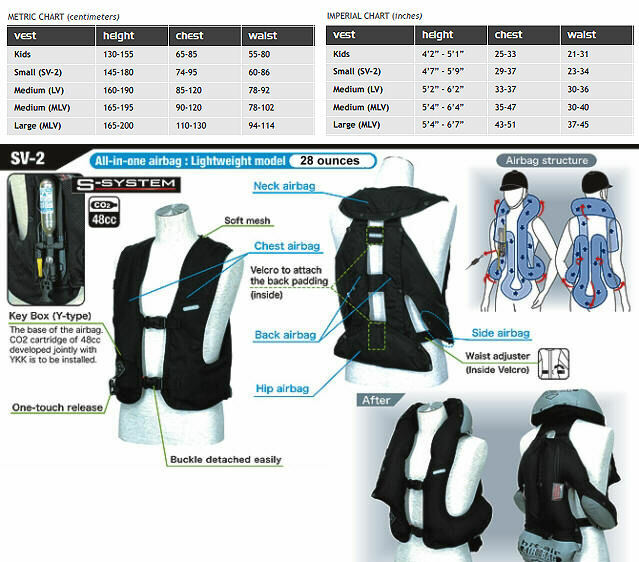 The light-weight, neat fit is designed to encourage children to wear the Hit-Air vest every time they ride. It can be worn over a body protector for ultimate protection and to adhere to BE regulations in competition - or on its own if chidren would otherwise wear no protection at all. Children must weigh a minimum of 25kg to trigger the mechanism and the vest must be purchased on behalf of the child by an adult of 18 years or over. An adult must read the instructions on receipt and be responsible for fitting the vest, attaching the saddle strap and lanyard and changing the canisters once inflated. This option takes a 50cc canister. Please see specifications and size chart below.